In my blog, I focus on nature in Galapagos - the flora and fauna that define us and make us the most unique ecosystem anywhere in the world. One of the most iconic symbols of conservation in our archipelago is Lonesome George. When he died in September 2012, I wrote a commemorative post, thinking that would be my last about him, But, that's been far from true. I wrote about him again when he was officially designated as a symbol of our cultural heritage. Then, I posted on Facebook about the plan to taxidermy him and about his New York Museum show and ultimate return to Galapagos in 2015. And, I anticipated writing an announcement when he finally returns to Galapagos. But, I never expected to be telling you about what has turned out to be one of his most enduring qualities: George was and remains one stubborn, I mean really stubborn, tortoise. When asked what they are most anxious to see on their Galapagos journey, many of my guests say Galapagos penguins. And, it's no wonder, the little penguins are absolutely as cute as can be. Everyone laughs, points with delight and pulls out their cameras when one or more pops his head out of the water near our panga or lulls about on the rocks near Bartolome, Fernandina or Isabela Islands. As I write this I hear my own voice saying "Penguinos" and pointing them out with great enthusiasm. El Niño in 2014? Probably Not. All year, the Weather Services and NASA have been predicting that Galapagos would suffer an El Niño event by the end of this year. Well, I'm most happy to report, El Niño is not here with less than three months of the year to go. Not that El Niño is impossible, but at this point in the year the phenomenon seems to be less likely. NASA provides us with the most accurate predictions of whether El Niño may occur and seems prone to thinking that it won't occur this year, though it's predictions are anything but certain. 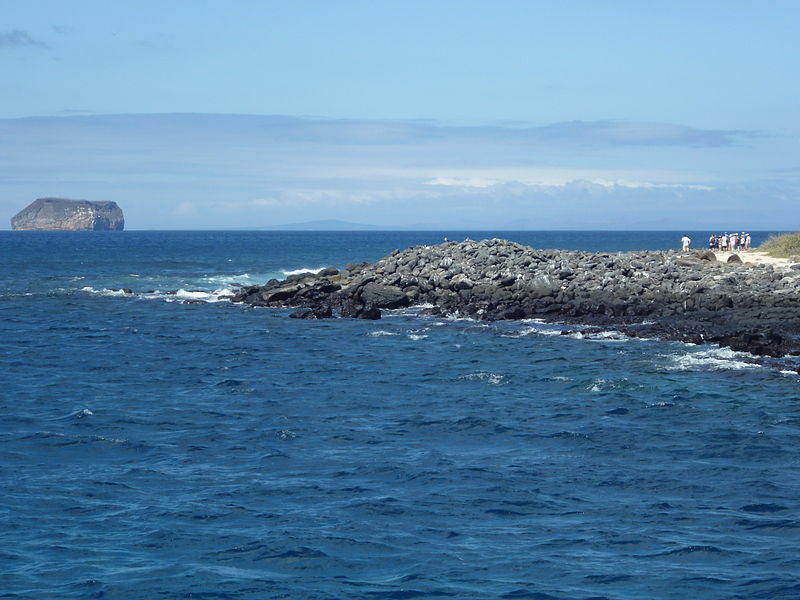 We tend to think of the Galapagos Island archipelago as totally isolated. And, in many ways, it is. Because of that, Galapagos has become the home of an unprecedented number of endemic species and a valuable and important marine and land preserve. There are many species that can be found no where else in the world. 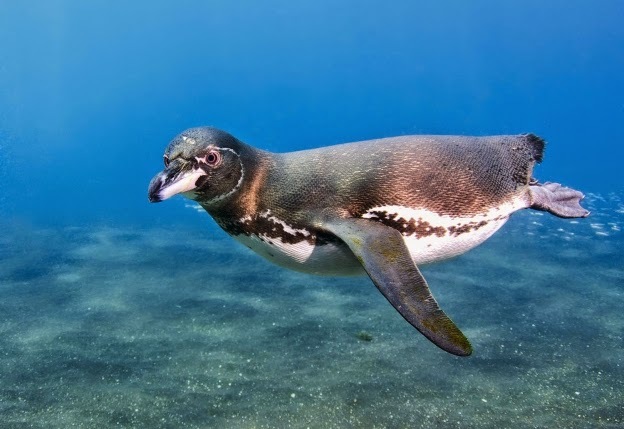 The animals, fish, birds and other marine life in Galapagos have evolved over time and have adapted to environmental factors such as available food sources, water temperatures and currents, dry volcanic terrain, Equatorial heat and available vegetation. 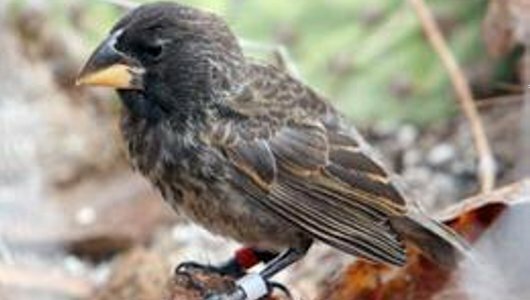 Ever since Charles Darwin espoused his theories of species adaptation and survival of the fittest, Galapagos scientists have dedicated research efforts to following species evolution and to finding what distinguishes Galapagos species from any others. 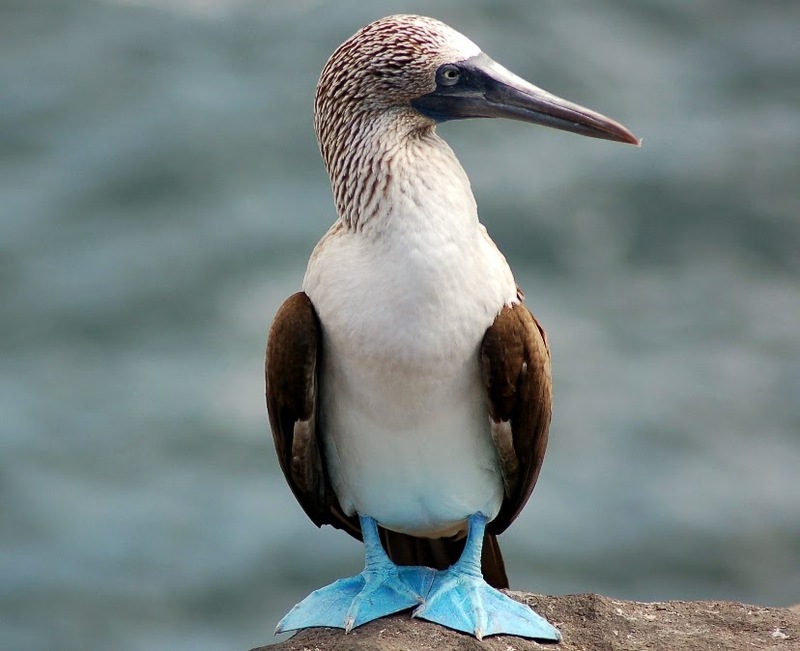 Everyone knows that one of the reasons for a trip to Galapagos is to get up close and personal with the Blue Footed Boobie. This iconic representation of Galapagos is beautiful, fascinating, fun and unique. Watching a boobie mating dance is sheer delight and seeing the new born fluff-ball chicks is heartwarming. Just last week I wrote about the incredible strides being made in using Unmanned Aerial Systems (UAV's) to help us with conservation throughout Galapagos. But the remote controlled drones used to count and track species on land aren't the only high tech advances in the works. 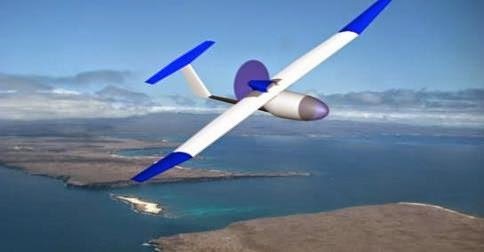 Robotic airplanes are now being used in the Galapagos Marine Preserve (GMP) to collect data on poachers and to otherwise ensure the preservation of fish and marine life throughout the Galapagos seas. "Remember," I tell my guests, "Galapagos is not like other places." We don't necessarily have all the amenities of home. Wifi, satellite based, without the benefit of fiber optics - well, it's not always reliable. Fresh water - it's at a premium too so water pressure may sometimes be iffy. What we can rely on is our unique endemic animal, bird and marine life that has been around forever. You come here to see preservation, not modernity. 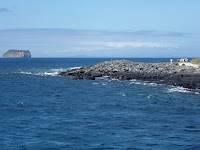 Galapagos is THE PLACE for preservation of the species. Nowhere else in the world is so dedicated to maintaining a pristine environment, observing the rules of nature, limiting interference from any non-endemic and indigenous species and not only preserving, but also regenerating, the plant, animal, bird and marine life that makes our unique ecosystem. Fernandina's Fish-Eating Snakes - Adaptation of the Species in Action! 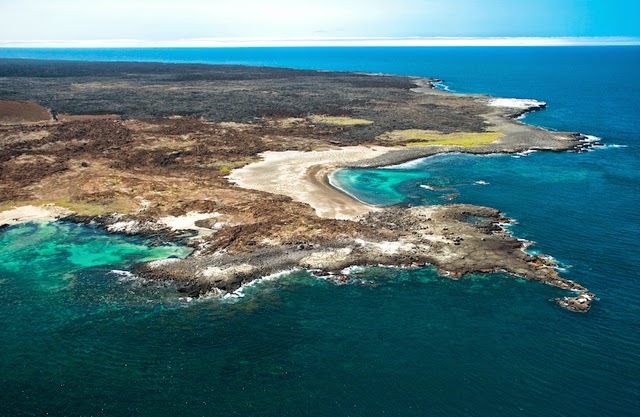 There’s a place on Fernandina Island in Galapagos not many are privileged to visit. 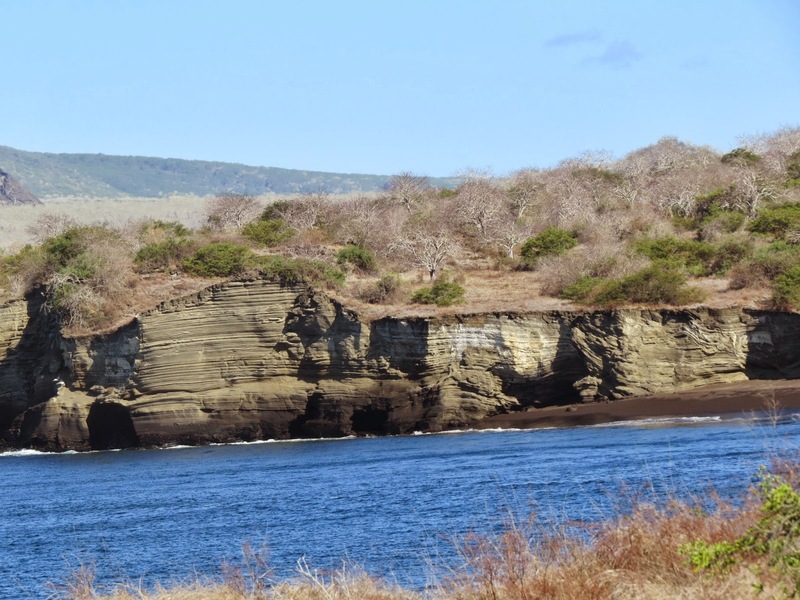 A beautiful area for scuba diving and often reserved for scientists and naturalists, Cape Douglas, located on the Island’s northwest corner, is more than a little difficult to reach. It’s a ledge of 40 meters than falls precipitously one meter into the sea and into an area of the Pacific filled with marine creatures. A stand-alone visitor destination in Galapagos, a small islet near Santiago Island, China Hat, also known as Sombrero Chino, is another island absolutely filled with things to see. As you can see from this photo, the island gets its name from its shape. In my last post, I told you about the tiny island of South Plaza. This island is equally tiny, less than 1/4 kilometer, but also equally exciting. 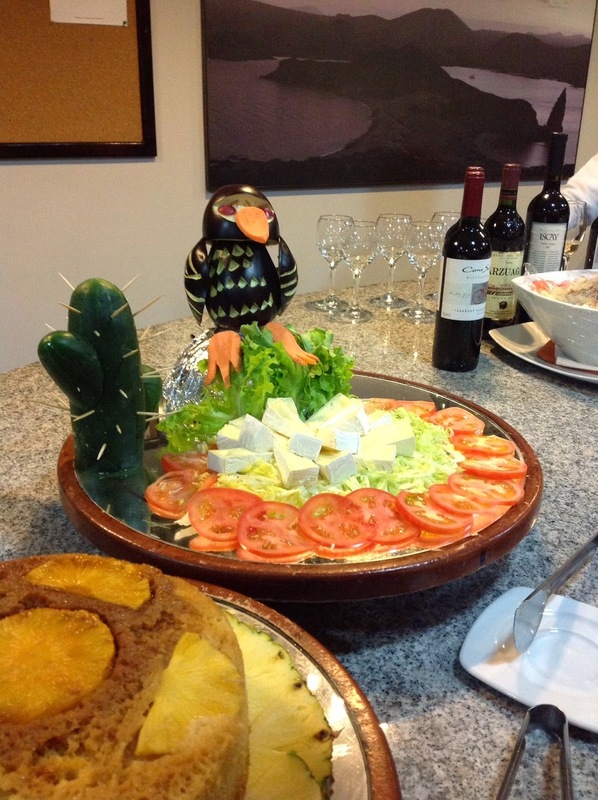 South Plaza is visited by many travelers who choose a cruise for their vacation to the Galapagos Islands. 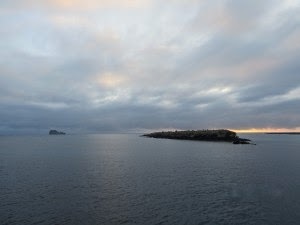 I've noticed that passengers might question what they can possibly experience here because as the cruise ship approaches South Plaza Island, they are likely to be a little underwhelmed by its size. After all its total area is just .08 square miles and at its highest point just 82 feet above sea level. (That's .13 km in area and 23 meters in altitude.) But, I assure them that they will most certainly not be disappointed. South Plaza is beautiful and intriguing in every season. And it is teeming with colors, marine birds and, not surprisingly, sea lions. 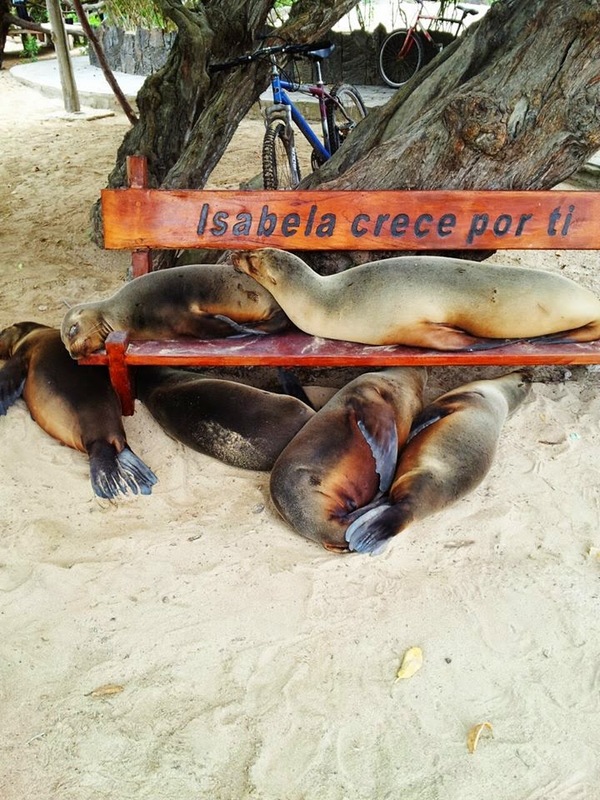 Every day in Galapagos is an adventure and when you stay on San Cristobal Island, all you have to do is jump on a boat and in minutes you are at some of the best visitor sites in Galapagos. 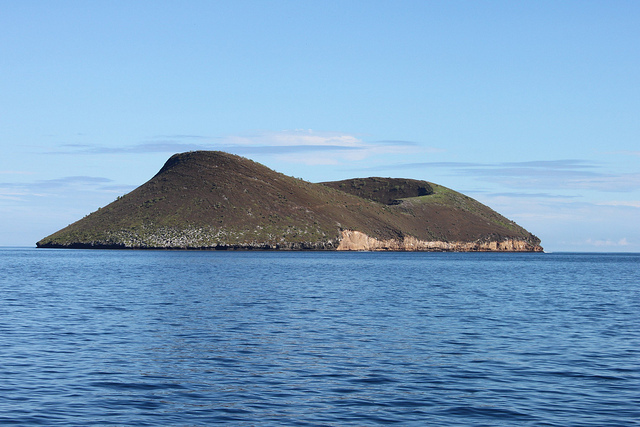 One of my favorites, full of adventure and endemic wild life, is Isle Lobos. We all love our Galapagos Tortoises. I've already told you a lot about Lonesome George, the most famous tortoise ever, not only in Galapagos, but around the world. And, if you've been following the Galapagos Eco-Lodge blog, you know that in Galapagos preservation of these marvelous and unique reptiles is a huge priority of the Charles Darwin Foundation. But, it turns out that our Galapagos tortoises are not the only celebrated tortoises - not at all. In fact, May 23, 2014 was actually the 14th celebration of international "World Turtle Day." The day was dedicated to educating people about tortoises, turtles and worldwide conversation and preservation efforts. The day is sponsored by American Tortoise Rescue, a non-profit organization with the mission to protect all species of tortoise and turtle. ATR has placed about 3000 tortoises in caring homes. Before sharing some fabulous reptile photos with you, I want to take just a moment to tell you the major distinctions between tortoises and turtles. A tortoise lives on the land, eats bushes, vegetation, grass, and cacti. Their feet have adapted for land mobility; thus they have heavily padded feet, instead of webs. 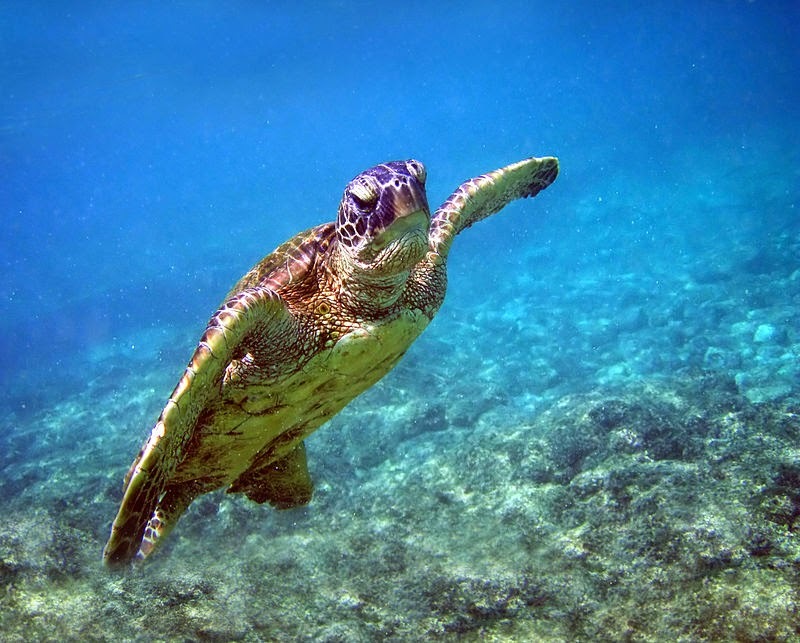 Turtles, in contrast, live most of their life in the water, and have webbed feet for swimming. They stay in the water, like our green sea turtles, except when they come to shore to lay eggs or for a brief bask in the sun. 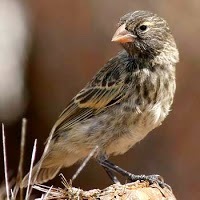 Most of us were taught in school that the bedrock of Darwin's book Origin of the Species and his theory of adaptation stemmed from his observation of finches in the Galapagos Islands. 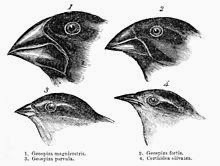 While on Galapagos, he collected and categorized finches from every island he visited, mostly as a study of what exists, but not why they exist. It was only after he returned home to England and began studying his samples that he came to the realization that the birds from each island had developed slightly differently. Specifically, depending upon where they lived and the type of vegetation that was available on their particular island, they had developed unique beak styles that provided the best and most efficient access to their food source. If you follow my blog you know how much I love to treat my guests to adventures and give them unique memorable moments to remember. This passion of mine isn't limited to the land. I seek out teaching opportunities under water as well. 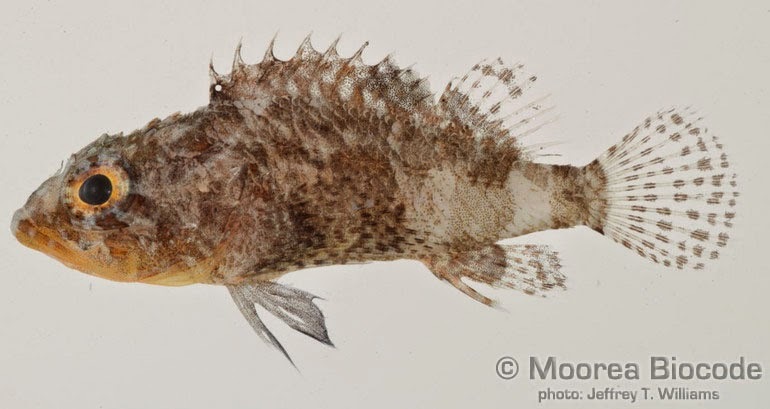 One interesting member of the marine family we examine when snorkeling is the damselfish. Take a look at this video from my YouTube Channel: Damselfish Providing Security Against Trespass. When we come across them on our snorkeling excursions, we put the damselfish's most interesting character trait to the test. 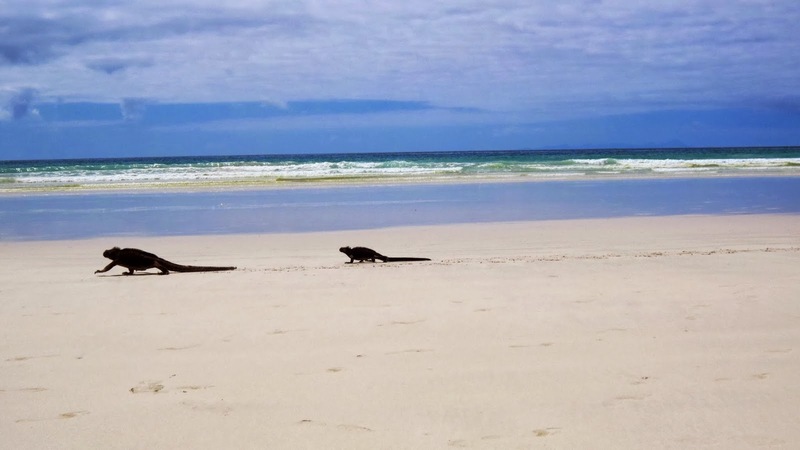 One of the behind the scenes aspects of the Galapagos Islands, one that visitors and even natives rarely get to see, is the in-depth and often pivotal scientific research that happens on every island on an ongoing basis. I've written before about the finch research taking place on Daphne. And, I've also written extensively about work done constantly by the Charles Darwin Foundation, particularly with their tortoise breeding programs. The most famous of all is, of course, the effort made with the iconic Lonesome George. But those are merely the best known of the projects. Research, study and observation are all critical components of our quest for maintaining the pristine quality and the ecological integrity of the islands. In just the last month, results of two new studies were reported in scientific journals. They provide information critical to our understanding of the Galapagos Islands and, equally important, of how much harder we must continue to work to save and protect the biodiversity and natural order throughout the archipelago. Galapagos and 21st Century Technology - Can You Hear Me Now? The title to this post is a bit of an oxymoron. Yes, we do have technology in our cities - internet, wifi, cable t.v. and cell phone service. But, 21st Century technology in Galapagos is a world away from what you expect at home. 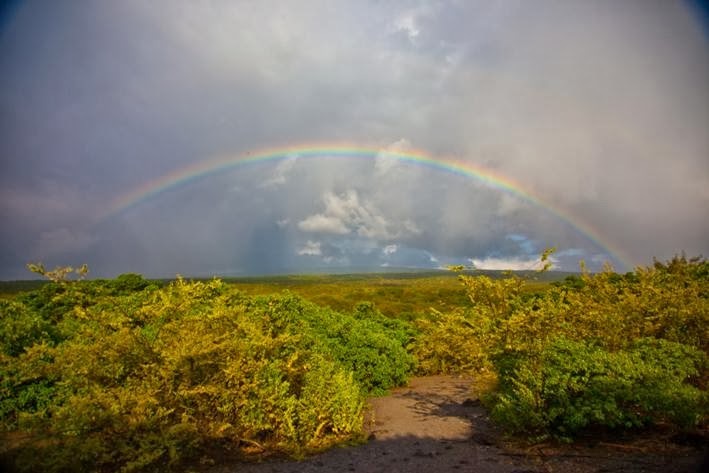 For those coming to Galapagos who live in large cities and take their connectivity for granted, a visit to the Galapagos Islands can be eye-opening; somewhat like when Dorothy was in Oz and told, "You aren't in Kansas anymore." Here, you are at the frontier of technology, not the cutting edge. 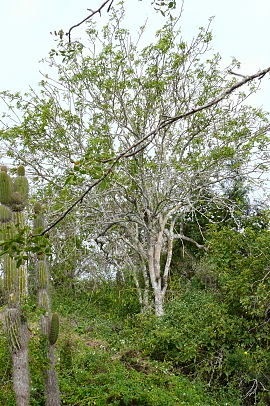 One of the interesting and unique flora in the living museum of the Galapagos Islands is the Palo Santo tree. We have two species of these trees here, one endemic and one more widely seen throughout South America. Bursera graveolens is native and Burseraceae is endemic, meaning it evolved in the Galapagos and can be found no where else in the world. There are even some Palo Santo trees that appear to be a hybrid of the two classified species. Most of the year, the tree has a gray/white bark. During the rainy season it displays bright green leaves. This tree is often called the Holy Stick, not only because of its appearance, but also because of the incense-like scent that emanates from the oil and resin in its branches. The aroma is pleasant and not harsh. The smell of the branches is reminiscent of what you may have experienced in church. The words Palo Santo translate to "the saint's wood." In fact, because of this distinguishing feature, the common variety of the tree is actually used to produce incense. Visitors will not be scheduled for landings on Daphne Major or Daphne Minor, and your boat is likely to circumvent these islands during your cruise. Still, the scientific research that occurs on these two islands is important. Both also provide excellent underwater diving opportunities. Daphne Major consists of a tuff cone (for an explanation of tuff cones, see my earlier post on volcanoes) and a largely barren landscape. At its highest point the island is just 394 feet above sea level and it is 1.9 square miles in size. 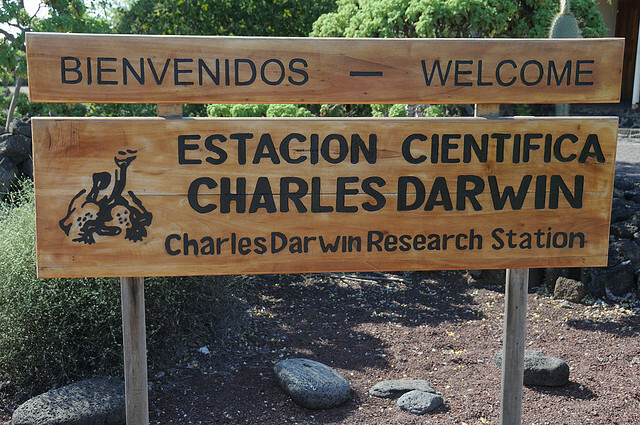 A "must see" destination for any visitor to the Galápagos Islands is The Charles Darwin Research Station. 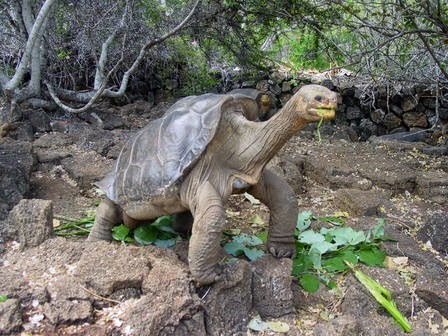 Once known primarily as the home of Lonesome George, now that George is gone, visitors are recognizing it for so much more: a major center for scientific study and the preservation of all species on the Galapagos Islands. The scientists and conservationists responsible for founding the CDRS showed tremendous insight and foresight. Long before conservation and sustainability were trendy, the CDRS saw that human intervention was needed to assure survival of the diversity and uniqueness of the Galapagos Islands. This endeavour started in the 1950s when a young researcher, Irenäus Eibl-Eibesfeldt, came to the Galapagos Islands and became fascinated by the uniqueness of the islands fauna and flora, but likewise concerned about its future survival and the need for conservation. He shared his findings with the International Union for Conservation of Nature (IUCN), among other organizations, and strongly advocated for a biological research station for study and laboratory experimentation. 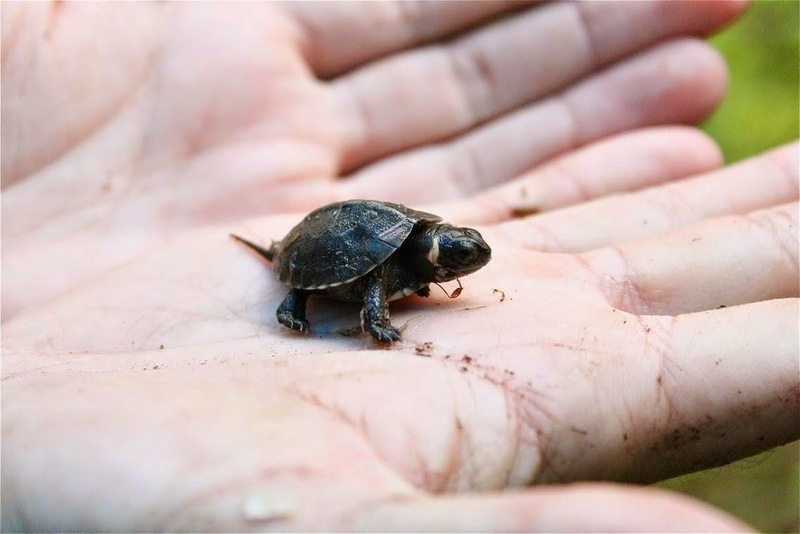 Originally established as a center for tortoise breeding projects, CDRS has expanded to the forefront of organizations determined to protect endangered species and restore them to unprotected status. The Galapagos Eco-Lodge is so proud to have been featured in a video review that we want to share it with all of our friends and guests. To learn more, visit the Galapagos Eco-Lodge website and Facebook pages and see additional reviews in The New York Times and on Trip Advisor. My friend Ivan and I wrote and perform a song about the Galápagos Islands that is filled with joy and celebrates the natural beauty and magnificent animal and marine life surrounding us. If you listen to the video you'll get the essence of what makes this place we call Paradise so special. 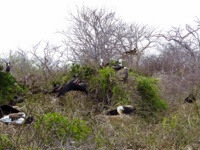 I invite you to watch the video and luxuriate in the magnificence we know as the Galápagos Islands. The Galápagos Islands are unlike anywhere else in the world. That's why this is such a desirable destination. Guests from around the world come here expecting luxurious first class service - and they will get it. There's just one thing: luxury in the Galápagos Islands is unlike what you'll find at the Ritz or Four Seasons or even on Crystal Cruises. Let's call it pampering and opulence "Galapagos style." You're on a beach vacation, but most of our beaches consist of rocky coastlines and volcanic ash. We don't have beachfront homes as in Palm Beach or beachfront resorts as in Maui. The beach - every bit of it - is national park and very well protected. Our beaches are still meant for sea lions and green sea turtle nests, for pelican mating and iguanas sunning - not for people. 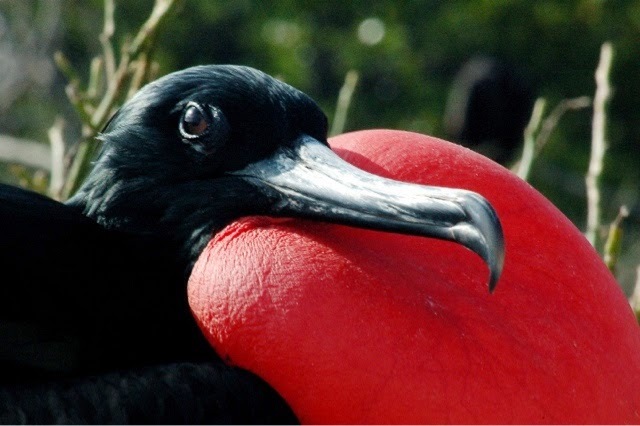 The mating ritual of Galapagos Frigate Birds reminds me of going to a bar where the girls pick up the guys. In this case, the males sit in tree branches, rather than on bar stools. And the females fly and circle above, examining each of the male specimens, assessing them, listening to their banter and ultimately making a decision. It's quite an interesting and rather noisy process, but it seems to work for the Frigates. 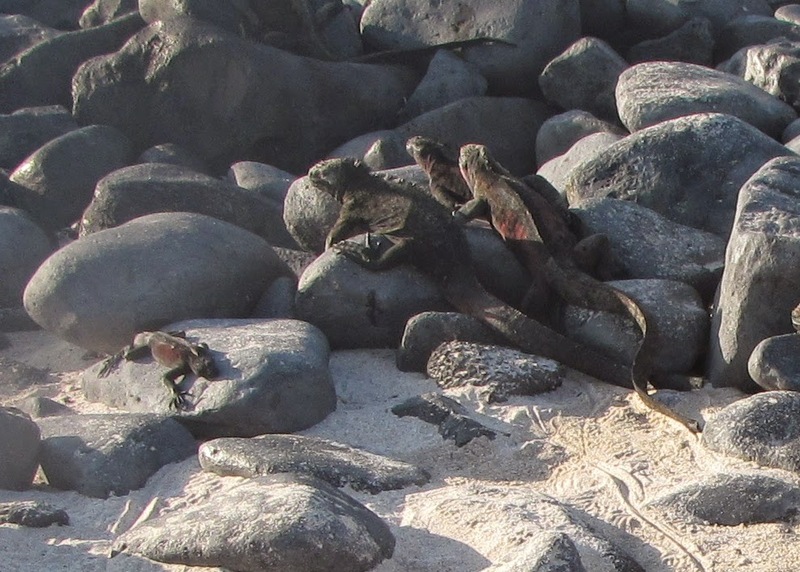 When you go to North Seymour Island in the Galapagos Islands, you will see this ritual repeated over and over again. In their effort to attract a mate, the males perch in the trees in groups, puff up their bright red pouches, extend their considerable wings (with spans of about 6 feet in width) and put on a display for the rather plain (in comparison) females who circle above. The males call out to the girls, sounding either like a drum or a turkey (the sound depends on whether they are Great or Magnificent Frigate Burds) and eventually strike the fancy of one of them. 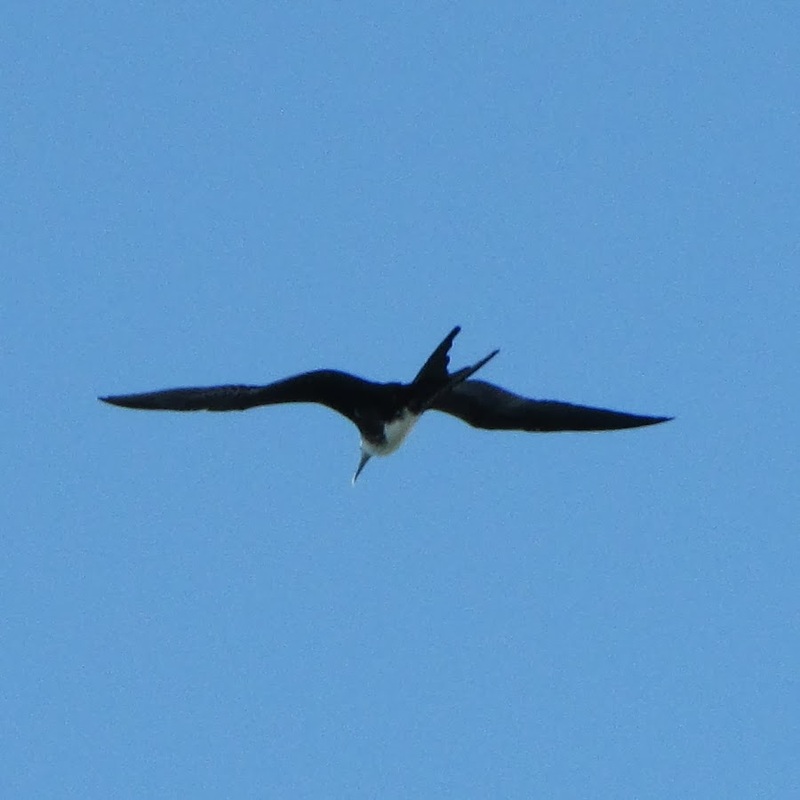 When they are flying above, Frigatebirds look like black beasts and it's difficult to see their coloration. But, when they are on land, particularly in their nesting areas, they are really quite stunning in their stature, size and distinctive color displays. 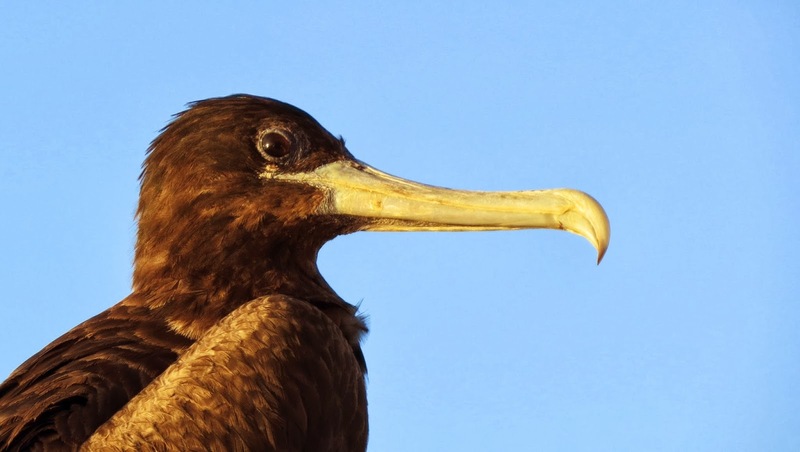 On every island, around every boat, following diving boobies - it seems that everywhere you look in the Galapagos Islands, you find Frigate Birds. You might see them following your cruise ship, or even sitting on the mast. It's not a surprise to me that USA Today recognizes the Galapagos Islands as the number one "bucket list" destination in the world today. Why not? After all, more species of animals, plants and marine life are endemic to our islands than exist anywhere else on the planet. Undoubtedly, the Galápagos Islands are a destination of choice. But I admit I have developed a bit of a bias against my home being a destination merely to be checked off a bucket list. It is so much more. First, consider my perspective. I've lived here all my life. I revel in the beauty, power and uniqueness that surround me. I never tire of this world. Every sea lion is distinctive. Every inch of lava is a work of art. Every day is a chance to learn and expand my appreciation of the planet. So, here's my dilemma: it's been my experience that those who come here just because it's on their bucket list run the risk of overlooking some of the real highlights of their visit. They can be so determined to make it through the list that they fail to immerse themselves in where they are in the moment. I’ve lived on the Galapagos Islands all of my life and I’ve led nearly 1,000 groups of tourists to places throughout these remarkable islands. It goes without saying that I have learned many things in these years. 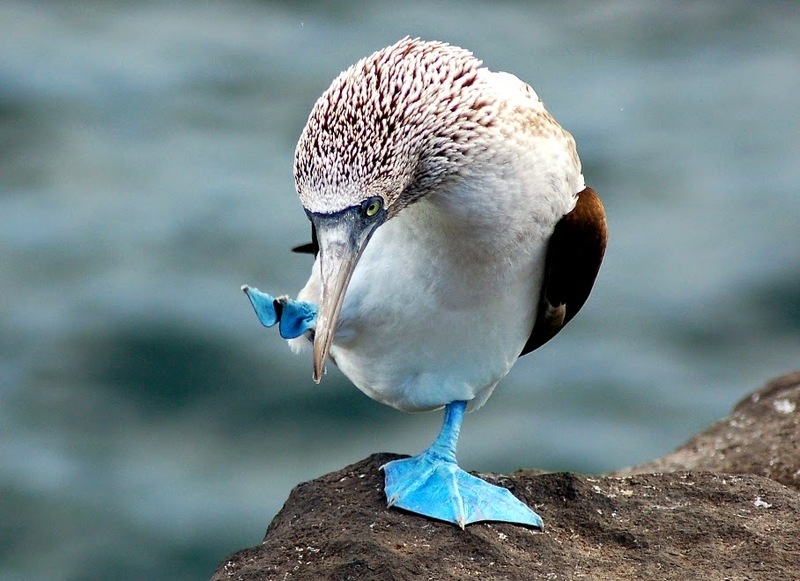 But, above them all is this: Come to the Galapagos Islands prepared to expect the unexpected! The Islands never cease to amaze me. I always find something new, something inspirational and something I never anticipated. It’s likely that the greatest thrills you will have on your visit to the Galapagos Islands will be unforeseeable and unpredictable. For me, the moment that takes me by surprise and opens my eyes is as likely to happen when I am snorkeling as when I am awed by an an eye-catching vista; it could be when I open my eyes in the morning to an extraordinary sunrise or my last glimpse of the night sky when I see a shooting star. Sometimes, everything around me goes quiet and I hear nothing but the water, the wind, the birds and the sea lions. People fade into the background for that moment in time and I am at peace and feel the beauty, grandeur and uniqueness of my environment. If you haven't been to Academy Bay, it deserves a visit. 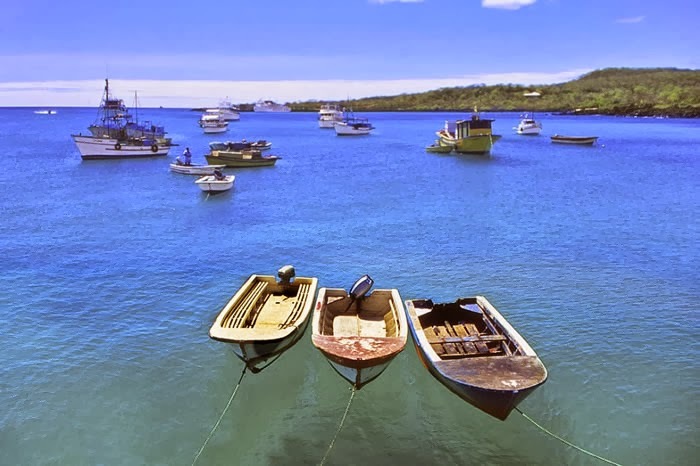 Located just outside of Puerto Ayora, it is the most populous location in the Galapagos Islands. Not only that: Academy Bay has been ranked as one of the most crystal clear beaches in the entire world. That North Seymour Island is tiny, just .7 square miles and only 92 feet above sea level at its highest point, doesn’t detract from its beauty and the fact that it's a great island for a visit. In fact, that there can be so much life, beauty, and natural phenomenon in such a small area is really rather amazing to me. 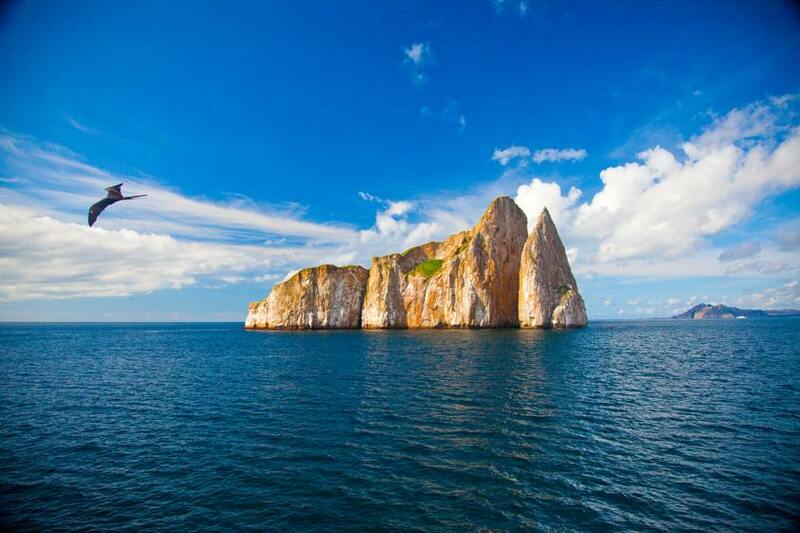 The Galapagos Islands represent natural beauty and stand as the symbol for the origin and evolution of life on Earth. Equally, they represent the Earth’s past and future conservation and preservation efforts. Ecological interaction with the planet is epitomized in the way humans interact with the animals, marine life, birds and even the land itself. This is a most phenomenal archipelago, and Charles Darwin played a major role in making it so. While Charles Darwin did not discover the Galapagos Islands, he is the name most associated with their history and recognition. 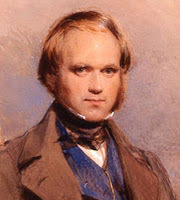 For it was Charles Darwin, a young naturalist, who came to the Islands, observed the plant, marine, bird and animal life and designed the intellectual premise known as natural selection or survival of the fittest. His thoughtful interpretation of what he saw and recorded changed human thought and understanding of the world around us forever. He saw continuity and coherency despite the diversity on each island and was able to merge these observations into a cogent scientific process that explains how life on earth evolved. Recently, I decided to focus my camera on the sky in the Galapagos Islands. Our sky is a phenomenon unto itself. Together the ocean currents, the volcanic mountains and the wind create constant natural forces that affect and change the sky above us. The mornings may be overcast or sunny. 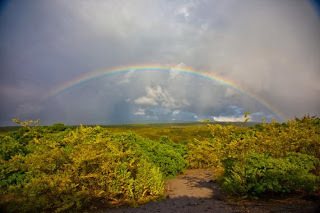 There may be a rainbow or glistening sun over a volcano. As the sun rises in the sky, it may be covered in haze, blazing in a bright blue sky, or filled with puffy white clouds. At sunset, the ball of fire sets in arrays of oranges, yellows and reds, sometimes bathing the surrounding lava in a golden glow. At any time of day, it's filled with marine birds. The sky here is always changing and always beautiful. 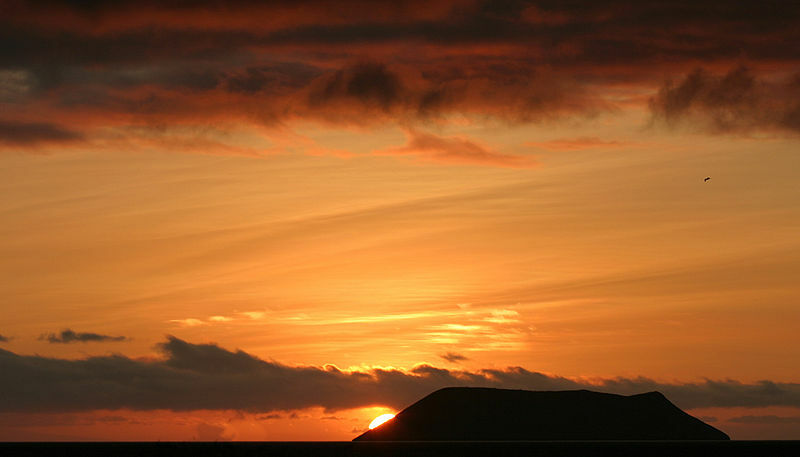 The Galapagos Eco-Lodge is committed to the environment and sustainability in more than words. It is not just our personal philosophy, but a pledge that we put into action every single day. At the heart of this commitment is the elimination of environmental impact from the use of fossil fuels. 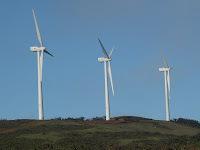 Already, fully 60% of our power usage is from wind turbines. 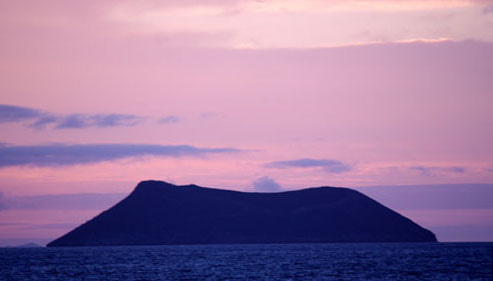 San Cristobal Island is my home and the location of the Galapagos Eco-Lodge. 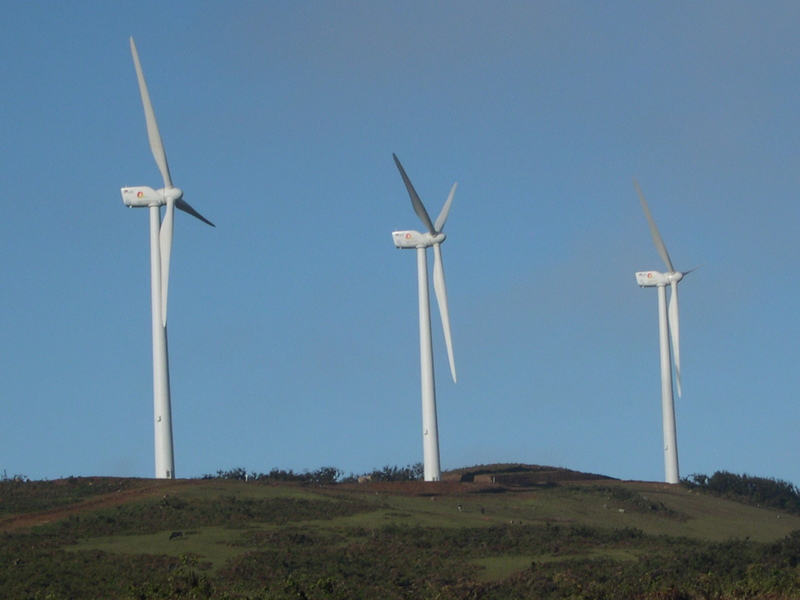 It is also the site of one of the most dramatic and important conservation efforts anywhere in the world – the San Cristobal Wind Project. As such, it makes it an ideal spot for the eco-tourist and, indeed, for anyone interested in preservation and conservation of our planet.